The SPL provides the following pay-as-you-go facilities to design, analyze, fabricate, calibrate, and test space payloads in one stop. To learn the details, please take the 3-credit elective courses, Introduction to Space Payload (AP1011 for undergraduate) or Calibration and Test for Space Instrument (SS7017 and SS7018 for graduate). Fabrications: LPKF Laser & Electronics AG’s solutions are provided in-house PCB fabrication and SMD assembling processes. Not only a single-board PCB for through-hole devices, a multilayer PCB for SMD can also be finished. Mechanical structuring to build sensor meshes can be done. 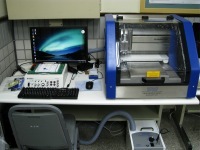 Functional tests: These are plasma injection test, star tracker testbed, etc. 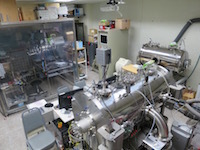 More test equipments will be expanded in the future. 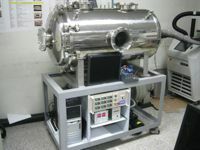 Environmental tests: fundamental environmental tests are provided for comprehensive tests during/after payload fabrication. 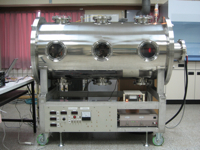 These are temperature cycling test, thermal vacuum test, vibration test, etc. Infrastructure: the lab provides complete infrastructure to design and develop space payload, i.e. 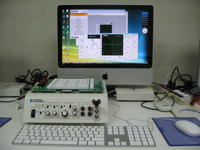 development tools for measurement, control, data acquisition, digital signal processing, computers, network, software for mechanical and circuit design, others, etc.